Hart Motorsport are please to announce that we have finally received Valentino Rossi's 2009 Championship winning Yamaha YZR M1 Moto GP Bike. Built by Minichamps this 1:12 scale replica is a true work of art with removable engine covers, turning front wheel and rolling rubber tyres. As with any Rossi model that we stock this one is sure to be a fast seller, even more so now he has announced his move to Ducati as this will more than likely be Rossi's last Championship winning Yamaha. Also new in stock this week is the Lorenzo version from 2009 and re stocks on a further four Rossi models. 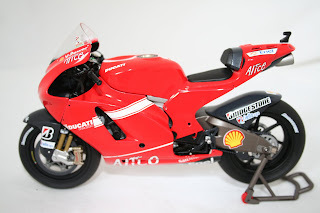 For further details on these models plus 100's more Moto GP Bikes please visit our store below. 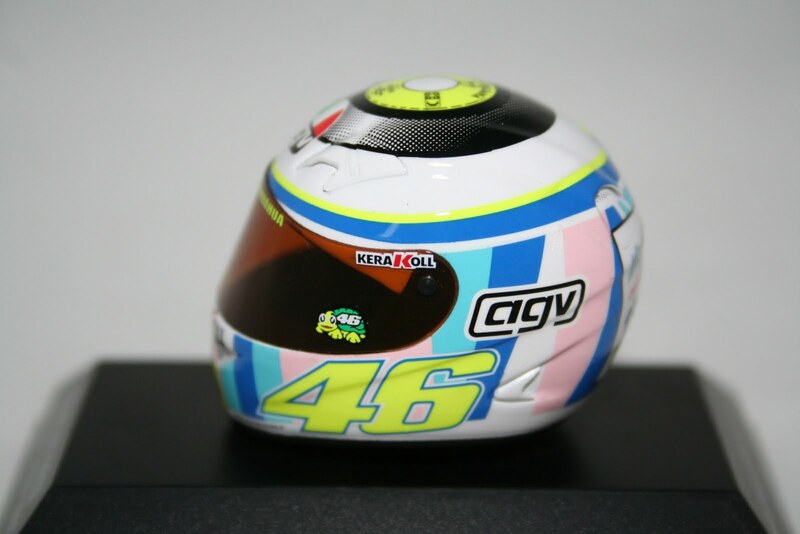 Hart Motorsport have just taken delivery of this brand new 1:8 scale Minichamps replica helmet as worn by Valentino Rossi at the 2007 Assen Moto GP. This replica has a great paint job and an opening tinted visor. The helmet is mounted on a black display stand and comes with a perspex cover and a Valentino Rossi Collection outer card sleeve. We have also received re stocks of the 2005 replica helmet as worn at the 2005 Laguna Seca Moto GP by Rossi. For details on these models plus many more Rossi replica helmets please visit our store below. 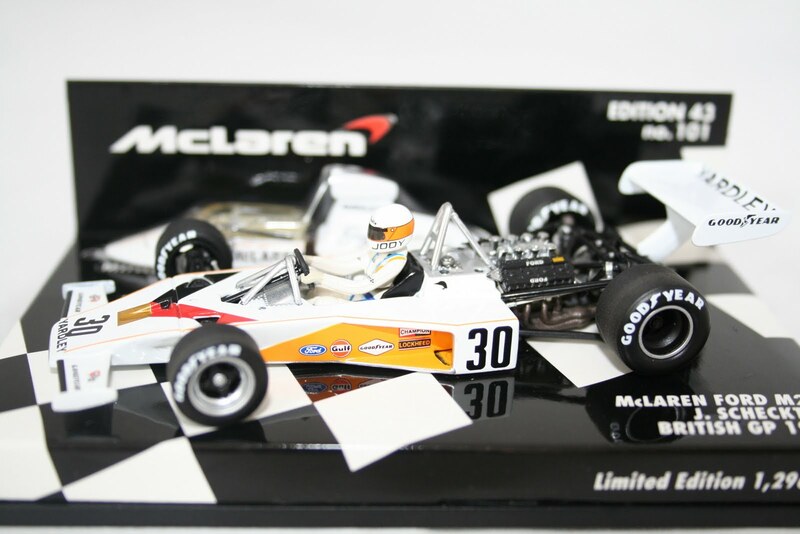 Now in stock at Hart Motorsport is this beautiful McLaren M23 F1 car as driven by Jody Scheckter in the 1973 British Grand Prix. Built by Minichamps the model has stunning detail and has removable engine and cockpit covers to show off even more detail. Also new this week is the M23 version from 1977 as driven by J Mass at the Long Beach Grand Prix. For details on both these models plus 100's more please visit our store below. 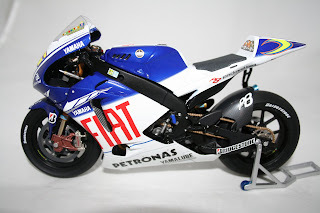 Now available in stock is the first 2009 Moto GP release by Minichamps. This stunning 1:12 scale model of Nicky Hayden's 2009 Desmosedici has all the usual features you would expect from Minichamps. The model has rolling rubber tyres, removable engine covers to reveal great detail, paddock stand and turning front wheel. Due in the next few weeks are the Fiat Yamaha models of Rossi and Lorenzo, be sure to keep visiting our store below to avoid missing out. Hart Motorsport have just received a collection of rare 1:43 scale Ferrari F1 cars. Now available from our shop below is the Ferrari 412 T2 model by Minichamps with both the Alesi and Berger version available. 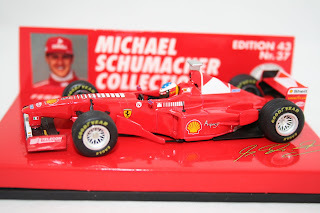 We also have Schumacher's F300 model also by Minichamps and a very rare F93A model from 1993 driven by Jean Alesi. For details on these models plus many more new and rare models please visit our store below.